Great for birthday parties, weddings, and much more! Accentuate any event with our selection of chevron decorative metal buckets. 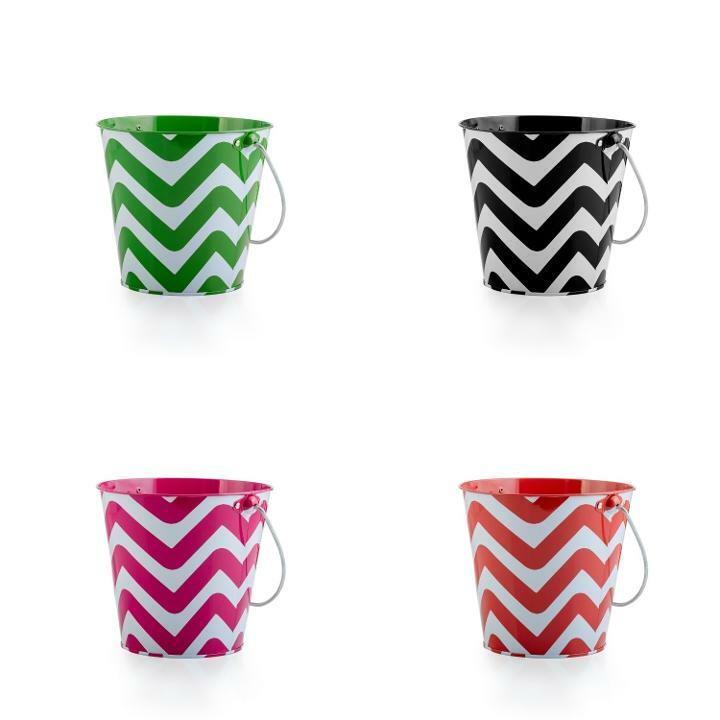 Featuring a simple carrying handle, our decorative buckets are available in a variety of colors to suit any birthday party, wedding, or baby shower. Use them to decorate guest tables, distribute party favors, and much more! Each bucket measures approximately 6 in. tall and 5 1/2 in. in diameter. L: 5.5 in. W: 5.5 in. H: 6.0 in.